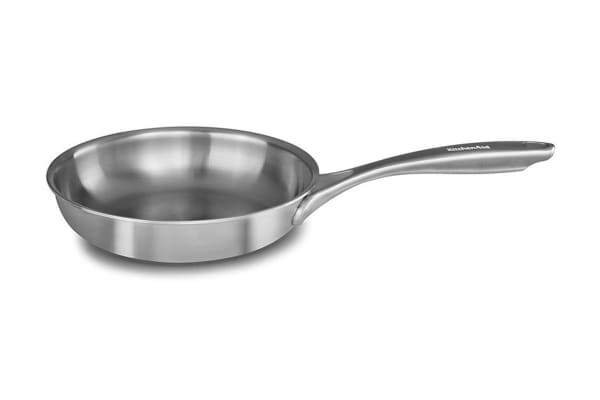 Experience the optimum heating of 5-layer design with the KitchenAid Copper Core Frypan. Featuring a stainless steel finish, this frypan comes as a durable option to every kitchen. Durable material very good quality.